Ah, the joys of the holiday season. Decking the halls, gift shopping, gift exchanging, bundling up in front of a roaring fire, and of course those festive holiday parties and meals. Of course there is plenty of wine to drink during this time of the year, too! I think most would agree that a crisp, refreshing, chilled white wine just isn’t what we’re looking for on a cold winter’s day. Those big, bold red wines are more suitable for this time of year, and there are plenty to choose from for all the different occasions. But what happens if you’re just relaxing by the fire, wrapped in a blanket, binge-watching your favorite Netflix show, and you want something to warm you up? 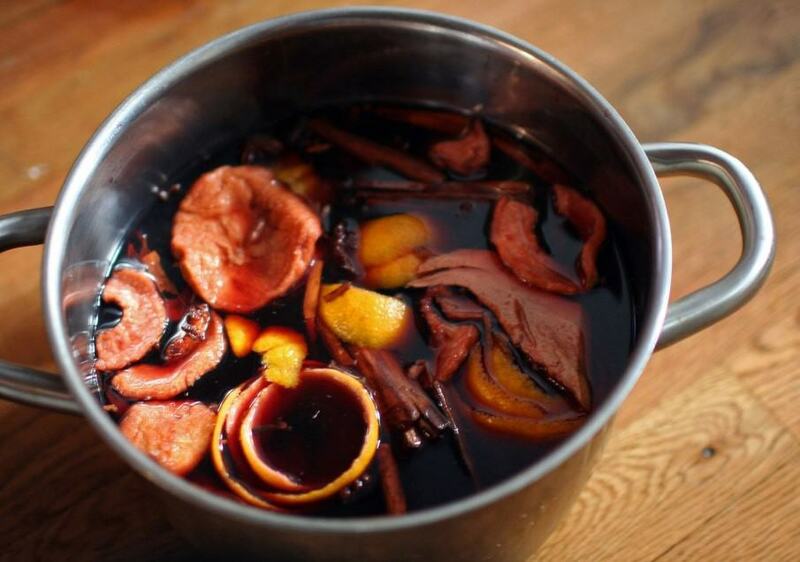 Enter Mulled Wine. What? You’ve never heard of Mulled Wine? Or you only think of Mulled Wine as something they drank in Dickens’ time? Well, it’s time to re-think this tasty winter’s drink. (Hey, I rhymed!) 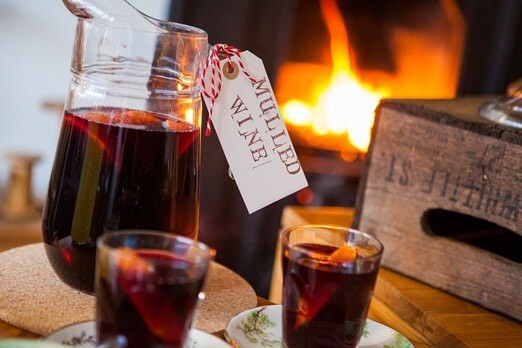 Mulled Wine is essentially warmed, spiced wine, often revved up with some type of spirit; brandy, rum, etc. You can often find pre-made bottles at your wine shop. I found this bottle, and it’s ready to go; just warm it up and start sipping, or add some addtional spices, fresh fruit, or spirit to suit your taste. If you have a more time, and are feeling a bit more adventurous, you can gather up the ingredients, and make your own Mulled Wine. 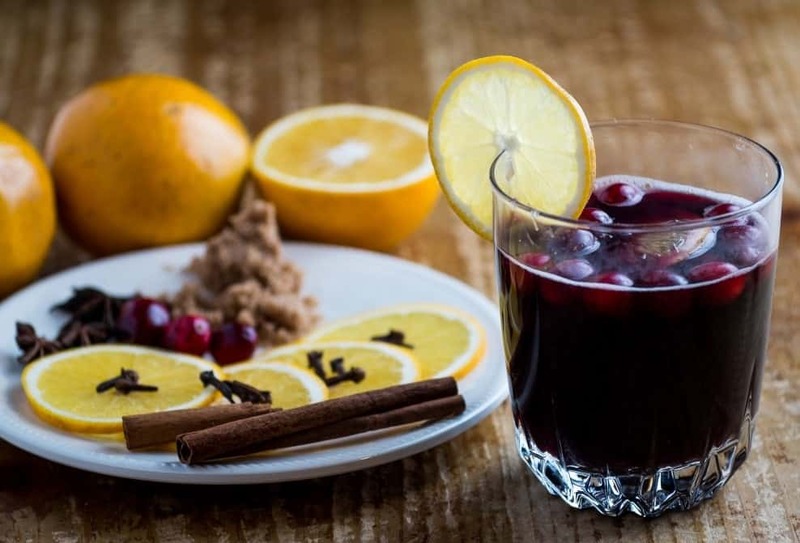 Our friends at I Love Wine prepared this informative post on Mulled Wine, (scroll down to read it) complete with history, and several delcious recipes your can make at home for family and friends this holiday season. Check it out, and if you make any of the recipes, let us know how you liked them! Not that we ever need a reason (or a season!) to sample delicious new wines, but the holidays are particularly a treat when it comes to trying different traditional vinos from around the world. While wine is typically best served room temperature red or perfectly chilled white, hot wine is also a “thing.” Yes, HOT WINE! If you have never tried mulled wine, do yourself a favor and put that on your list of holiday season must-do’s. Mulled wine is a spice-infused red wine served warm and best enjoyed in the colder months. It goes by different names in various regions; such as Glogg in Sweden, Glühwein in Germany or Vin Chaud in France. Ingredients for this comforting beverage depend on the region, but typically consist of cinnamon, nutmeg, cloves, anise, vanilla and allspice. Bitter orange, figs, apples, raisins or ginger can be added as well for additional sweetness. Other liquors are often added to the mix; with vodka, rum, brandy, sherry and cognac popular choices for an extra kick. The ingredients for mulled wine are simmered, allowing flavors to infuse, and then strained and served immediately. The wine can also be refrigerated for 24 hours to allow for further infusion then reheated before serving. 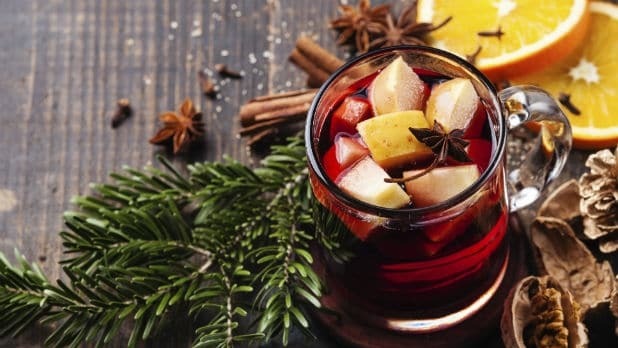 The origin of mulled wine came about in pre-refrigeration days, where the purpose was to use wine on the verge of spoilage and not let it go to waste. The addition of other liquor, spices, fruit and sugar made it more pleasant to drink. 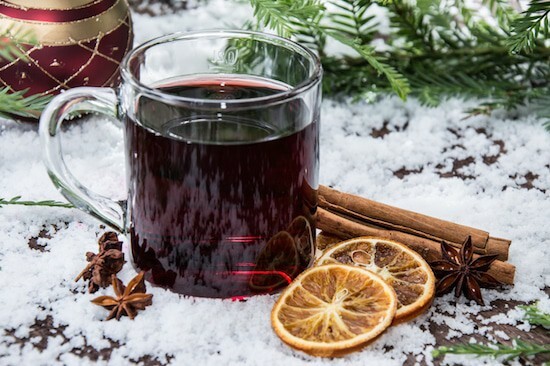 The history of mulled wine dates all the way back to the Ancient Greeks. Said to be invented by Greek scientist and Father of Medicine, Hippocrates; the wine (red or white) was spiced and sweetened with honey and not always served hot. The drink gained its name from the Old English word meaning “muddled” and has been popular throughout Europe for centuries. The oldest recipe dates back to 1834 and was found in a recipe collection in the State Archives in Dresden, Germany. The collection belonged to Count of Wackerbarth, Augustus Christopher. However, wine was first recorded as spiced and heated in Rome during the 2nd century. The Romans traveled all across Europe, bringing wine and their recipes with them to the Rhine and Danube rivers, and to the Scottish border. While it can be served throughout the winter months, mulled wine is more traditionally a Christmas beverage. Charles Dickens is credited with making mulled wine synonymous with the holidays, thanks in part to his mention of the beverage (a mulled wine punch known as the Smoking Bishop) in his timeless classic, A Christmas Carol. Directions: Wash the fruit and bake it on a foil lined baking sheet until it becomes light brown, turning once. Heat a large earthenware bowl and add the fruit. Stud each fruit with five cloves. Add the sugar and the red wine, and store covered in a warm place for about a day. Squeeze the fruit to extract the juice, and strain into a saucepan. Add the port and warm thoroughly, but don’t boil. Directions: In a saucepan, gently heat the wine and spirit. Using a speed peeler, remove large parts of rind of the lemon and the lime. Be careful not to remove the pith. Toss peels into the saucepan. Add the cinnamon, cloves, orange slices and sugar. Simmer for 15 minutes then ladle into glasses and enjoy. Directions: Peel and juice 1 orange, and add to a large saucepan along with the lemon peel, sugar and spices. Add enough wine to just cover the sugar, and heat gently until the sugar has dissolved, stirring occasionally. Bring to the boil and cook for 5 – 8 minutes until it turns into a thick syrup. If you are serving the mulled wine immediately, stud the second orange with 6 vertical lines of cloves, and then cut into segments to use as a garnish. Turn the heat down, and pour the rest of the wine into the saucepan, along with the ginger wine. Gently heat through and serve with the orange segments as a garnish. Alternatively, there are several good options available for purchase in your local store if you don’t feel up to the task of mulling your own. 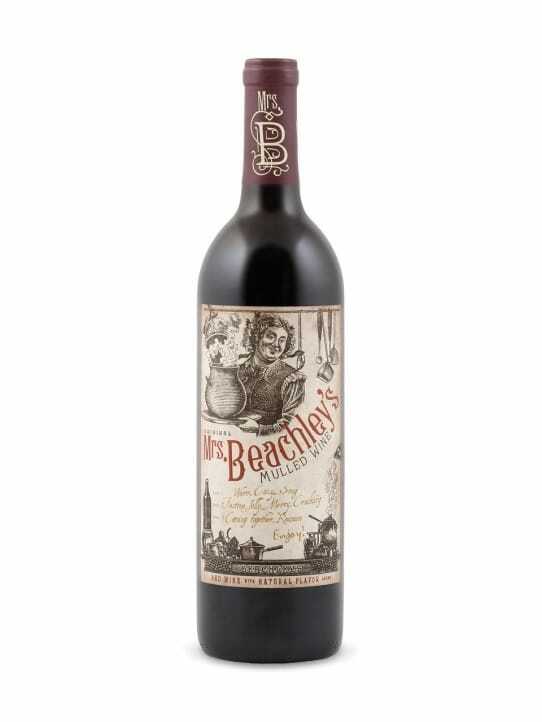 A notable, tasty and affordable option is Mrs. Beachley’s Mulled Wine, at a cost of about $10. Enjoy Après-ski after a day out on the slopes, warm up while strolling Christmas markets on a chilly night, or heck…indulge to make those holiday family gatherings a bit more bearable. Mulled wine is sure to comfort and warm you from the inside-out during this festive season! More and more wine producers are embracing environmental consciousness. Whether out of concern for conserving our planet and its resources, or reacting to consumer and market demands, there is no doubt that organic, sustainable, natural, and biodynamic wines are on the rise and here to stay. It’s not just the small, boutique, dare I say “hippie” or “hipster” wineries that are turning toward Earth-friendly farming practices. Many well known, large production producers are getting on board, and at converting at least a small percentage of production to sustainable farming, most with an eye toward long-range growth and conversion. Recently, we received an invitation to sample two natural wines, Farmhouse Wines, produced by Cline Family Cellars. If you don’t know Cline, you really ought to get out more. Fred Cline founded Cline Family Cellars in 1982. He started in Oakley, California, in the Delta region, east of San Francisco. In 1989, he moved the winery to Sonoma County. One of the original Rhone Rangers, Fred Cline helped establish Northern California as a serious producer of Rhone varieties like Syrah, Viognier, Marsanne, and Roussanne. Cline Family Cellars has gone on to expand their portfolio to include a plethora of grape varieties, and produces some stellar wines. Fred Cline and his Soil Manager, Bobby Cannard (aka The Soil Whisperer) have developed biodynamic practices they dubbed the Green String method. A significantly environmentally friendly farming process, it minimizes pollution of the air, soil, and water, and minimizes the overall environmental footprint. Utilizing natural weed control (sheep and goats), cover crops, aviary pest control (owls and hawks), and ar power, they have made big inroads in sustainable farming. They established a farm, the Green String Farm, in Petaluma, CA, to foster these practices, producing a variety of crops for consumers. They even established an internship program to expose farming students to these practices. There are two Farmhouse wines; a white blend and a red blend. Both are natural, sustainably produced wines. They are unpretentious, user-friendly, sealed with screwcap, and easy drinking. Oh, and they retail for just $10.99! That’s wallet friendly, too! Winemaker Charlie Tsegeletos wants the grapes to take center stage in these wines. He uses minimal oak, and incorporates blending to bring out the best of each variety and vintage. A very interesting white blend. Don’t serve too cold or the bouquet and flavors will be muted. Pale peach color. Aromas of peach, honeysuckle, mango, and tangerine. On the palate, there are flavors lemon curd, guava, mango, and peach, with a touch of honey on the finish. That’d be the Muscat! Medium body and acidity. Fruity, mildly sweet. Pleasant for sipping, structured enough of fish, chicken, or spicy Thai. Inky purple color. On the palate, aromas of raspberry, fresh blackberry, clove, and spice. On the palate, boldly fruit forward; bordering on jammy but there is enough complexity to bring some balance. Flavors of ripe blackberry, black cherry, cassis, and black plum, with licorice, baking spice, black pepper, and caramel. Rich and full bodied with round mouthfeel and bright acidity. The finish is very long with black fruit, ripe plum, and black pepper. Both Farmhouse wines would be at home on your Thanksgiving or other holiday table, and equally comfortable snuggled up on the couch in front of a warming fire, binge-watching your favorite Netflix show. Let us know, in the comments, what you paired it with, and what you’re binging on Netflix! Anybody who has purchased a bottle of wine is familiar with the standard, 750 ml bottle. The vast majority of wine is sold in these bottles. Some may be familar with the Magnum bottle; at 1.5 liters, it is equivalent to two standard bottles. These are great for parties and other group gatherings, but what if you are alone and don’t want to drink a whole 750 ml bottle? You could grab a half-bottle, 375 ml, which is about 2 glasses. All fine options, depending on your circumstaces. But did you know there are at least 17 different size bottles for wine? Yes, seventeen! From the “split” – about 1/4 bottle at 187 ml, to the massive “Midas”, holding 30 liters – about 40 standard bottles! To read more about these various bottle sizes, and the stories behind them, check out this article from our new friends at I Love Wine: Understanding Wine Bottle Sizes. We hope you enjoy the article! Let us know what you think in the comments.